Remember those Japanese cartoons you used to love watching? Nope? Well, I'm sure you will once you see what the first Elite BDJ Box for 2014 is all about! The Elite BDJ Box isn't your ordinary BDJ Box. This edition costs 1480 Php instead of the usual 580 Php, but its overall value is way more than the usual. 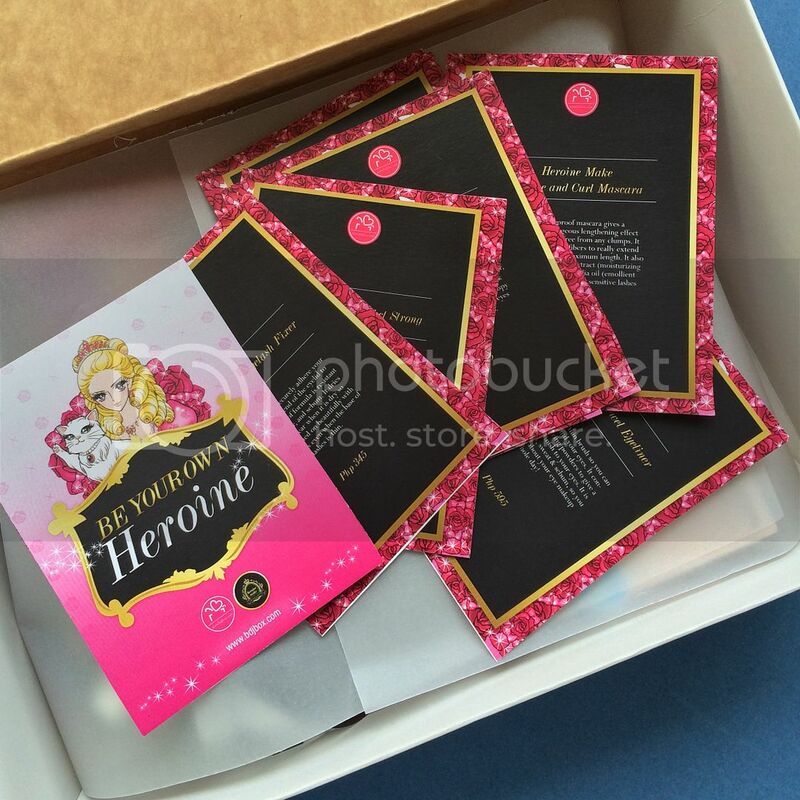 It's released every few months or so, and when BDJ opens it up for purchase, they post a photo of the contents. So yey to those who don't like the 'surprise' factor that usually comes with beauty box subscriptions. My first Elite BDJ Box was the Colour Collection-exclusive one. Click *here* for my post on that. Moving on... This Elite Box is another brand-exclusive box. 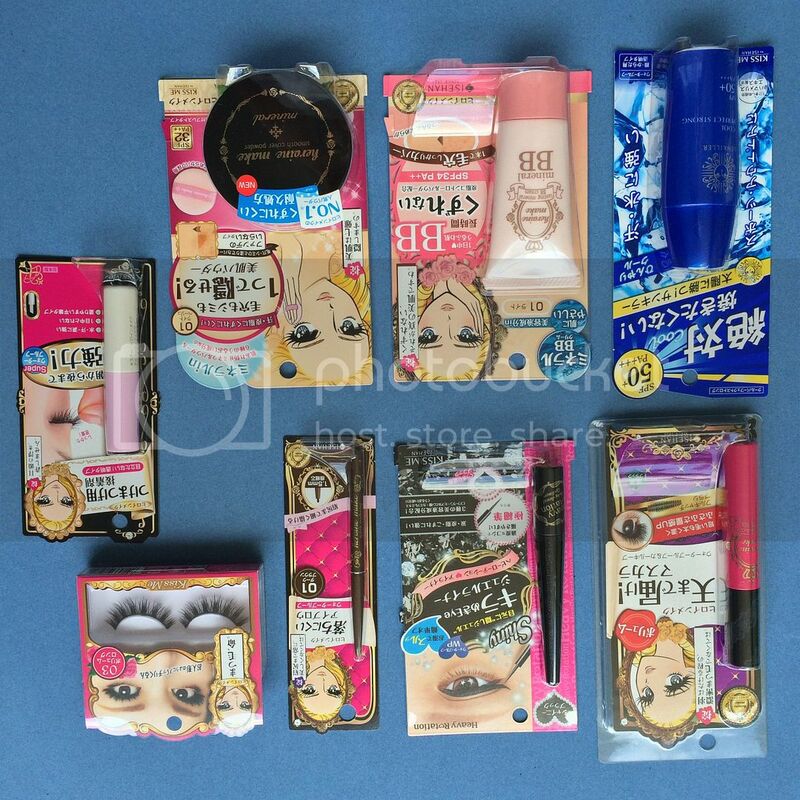 The products are all from the Japanese brand Heroine Make. I, for one, am not familiar with this brand. This is my first time to try out their products. It's always exciting to try new brands and products. 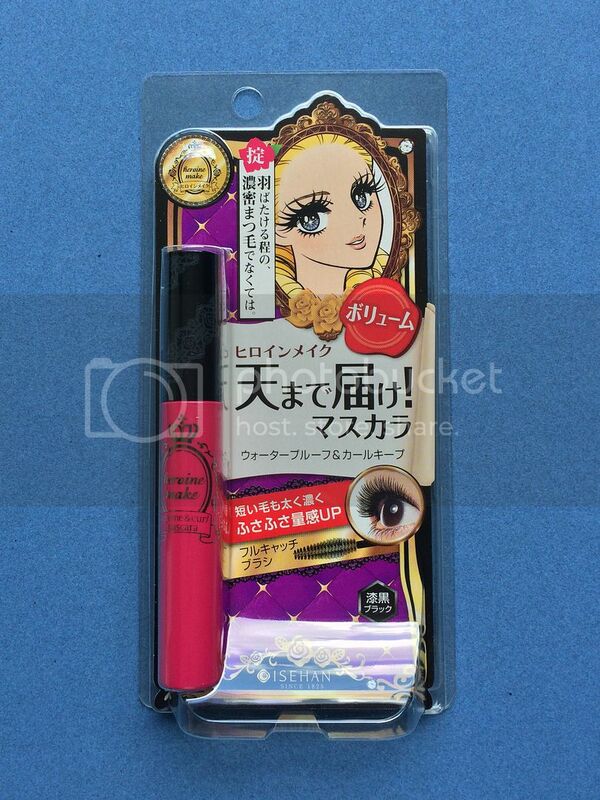 Especially ones that claim to be long-lasting and budge-proof for makeup that no sweat or tears can defeat, so we can all feel like the heroines from our fave Japanese cartoons! Let's take a look at the contents. There are, I believe, 6 sets available, and I got Set D - Glam Medium. Let's take a look at each item. As you know, I'm always excited to try mascaras because my lashes are naturally short and thin. 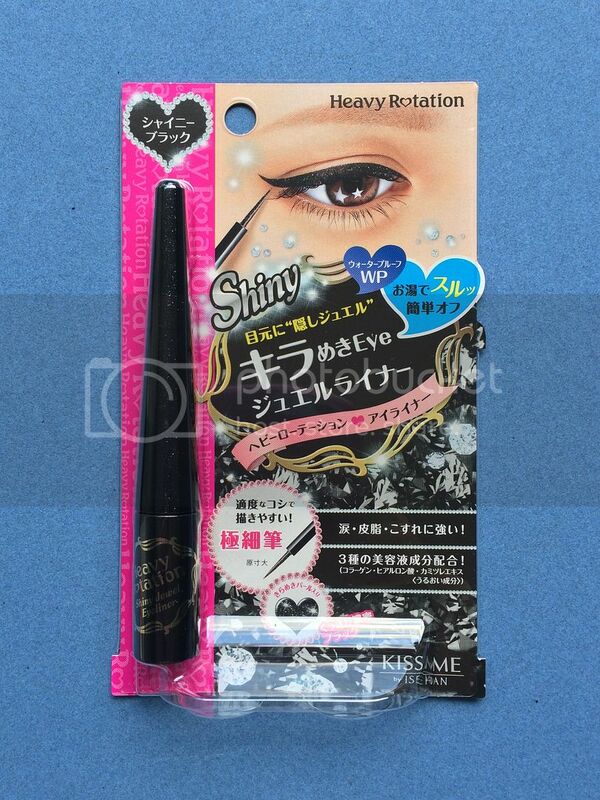 I'll be trying this out as soon as I'm done with my current mascaras. Oh, this also claims to be waterproof, which I'm hoping it really is! We'll see. Next is the liquid eyeliner. I can't remember the last time I used liquid eyeliner that's not in pen form! I swatched this on the back of my hand and was impressed. It's not really black - more like dark gray with a bit of shimmer - but it seemed pretty budge-proof when I tried to smudge it. Next is something I was excited to try. 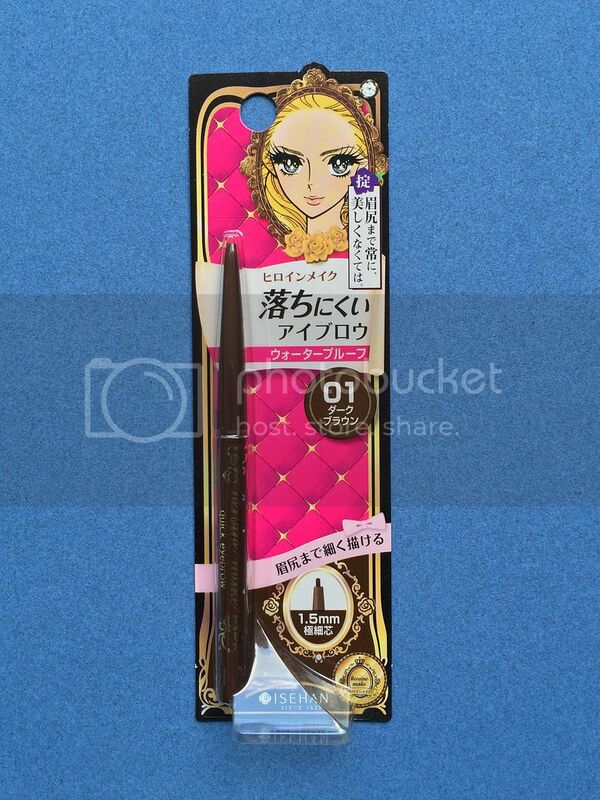 While I do love my Etude House eyebrow pencils, it doesn't hurt to try other brands. I've tried this a couple of times already. It has a retractable tip that is way thinner than what I'm used to, I broke it the first time I used it. Heee. I guess I applied too much pressure. Not used to using super thin brow pencils like this. I do like the look it gives my brows, though. It's very natural-looking and light on me, and the shade I got seems to be perfect for brows. 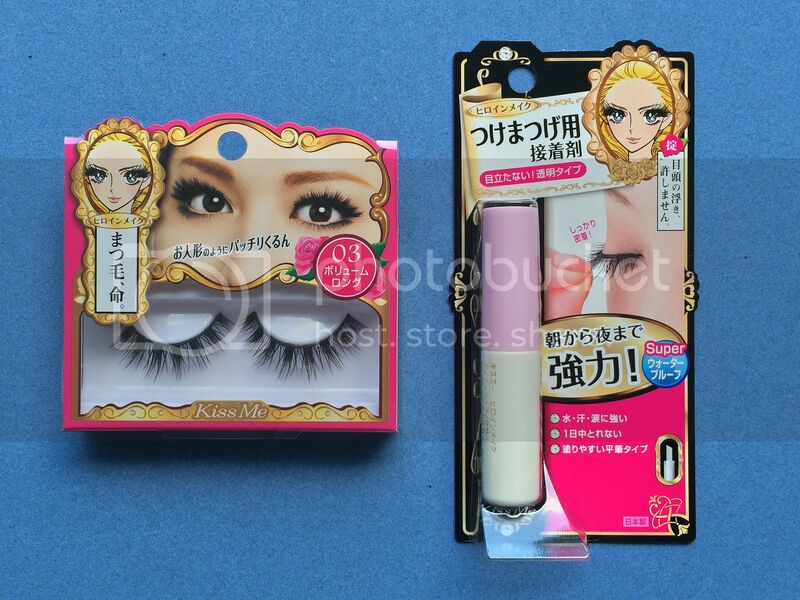 Next is something I can't say I'm excited to try just because I'm not really a falsies-wearer. Need to practice my application skills pa. I got design 03, which I honestly find a bit intimidating (hehe). Definitely something for glam days. 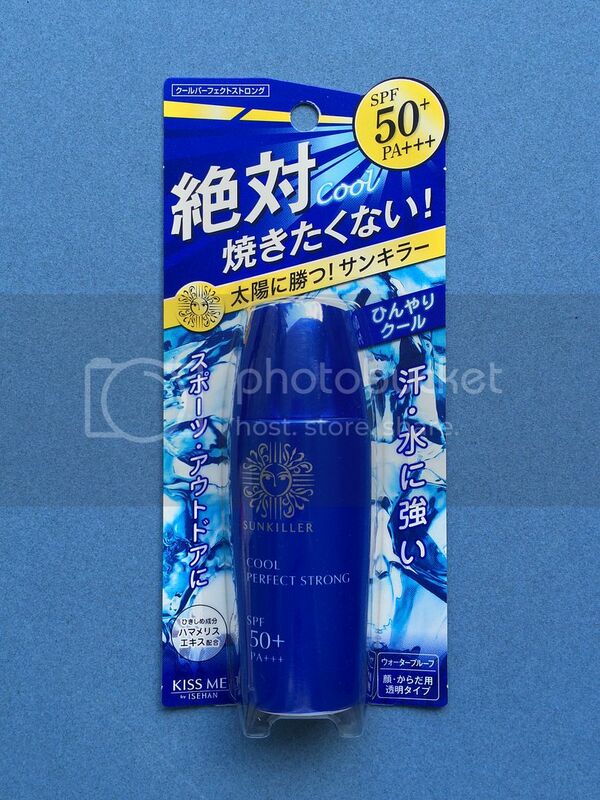 I do like that BDJ included an eyelash adhesive, though! I have no excuse not to try the lashes. Haha. For the face, there's a BB cream, which I am looking forward to trying. I haven't used a legit foundation since I started using my current (and also fave) BB cream. 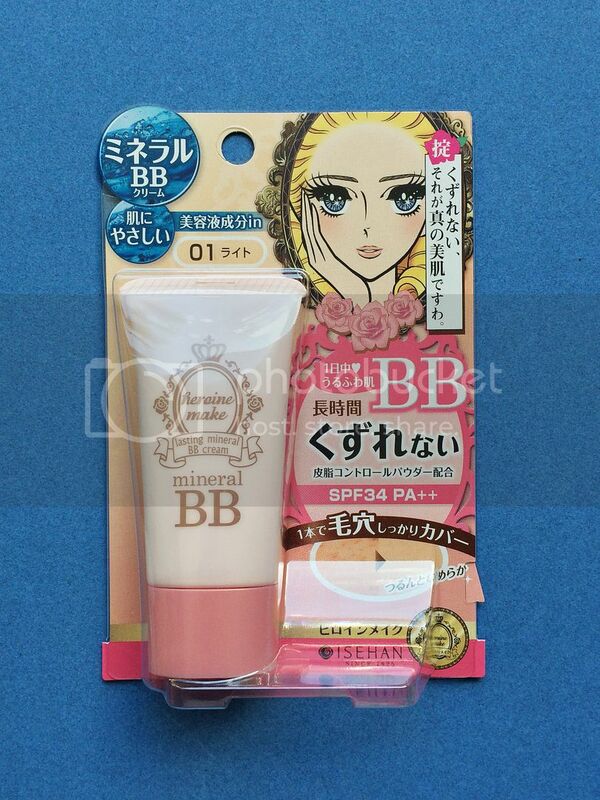 Just BB cream all the way. Haha. 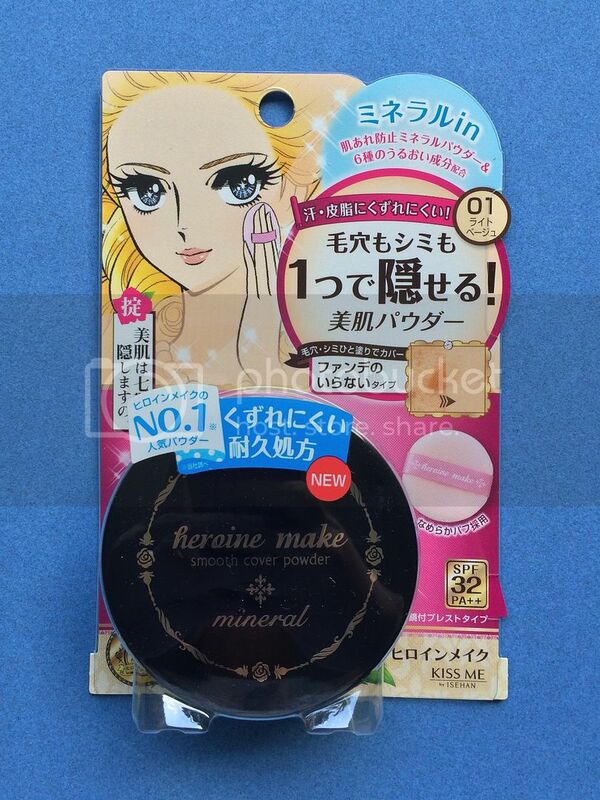 I'm just crossing my fingers that the shade 01 will fit my skin tone, though! Another face product is next. I haven't found a super favorite face powder yet (though the Maybelline ones are the ones I keep coming back to), so I can't wait to use this. I just hope the shade 01 would match my skin tone. I'm afraid it would be too light. The last item here isn't really makeup but more of skin care. I've already tried this (brought it with me during my recent trip to KL). I like the mild cooling effect it gives upon application! And it also felt really light on the skin. And not greasy at all! 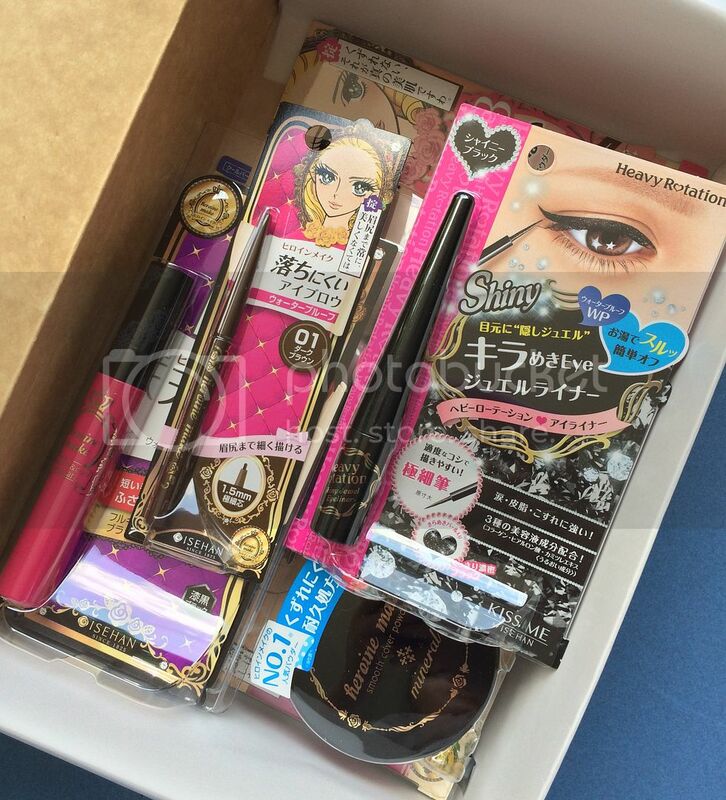 So those are the eight full-sized products inside the latest Elite BDJ Box. I do like that the items are something I'd really use. Well, most of them (still thinking about the lashes, heeeheee). 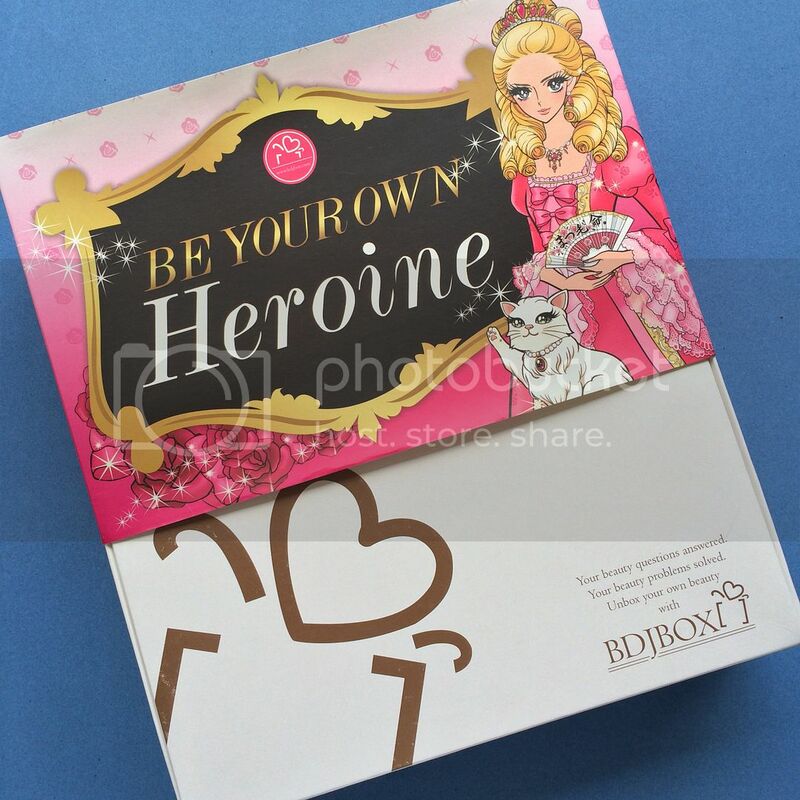 I'm not hundred percent sure if Heroine Make Elite boxes are still available, but feel free to email elite@bdjbox.com with the subject BDJ Box Elite to inquire and order. 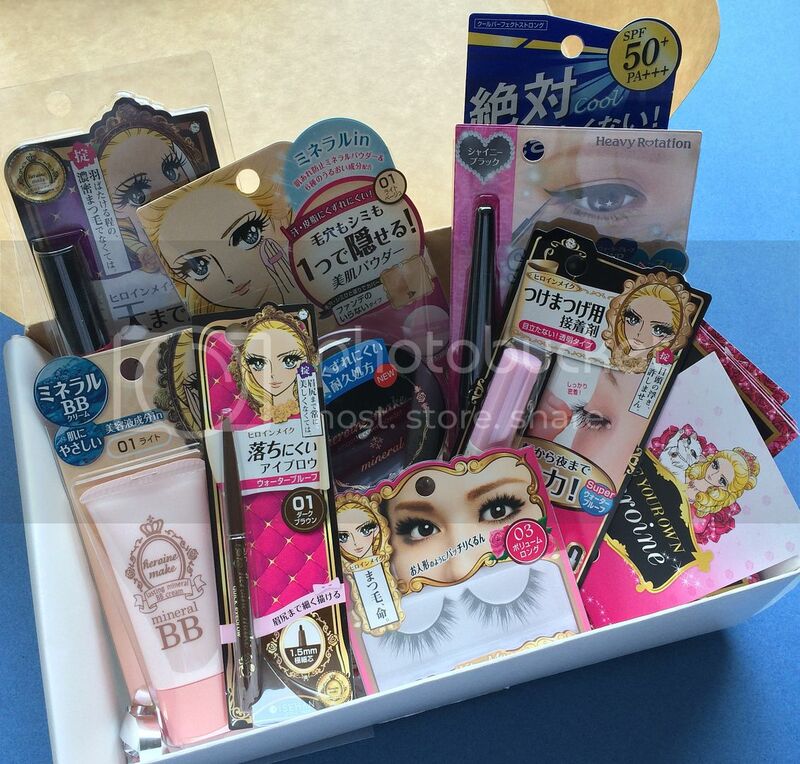 Disclaimer: Box was received for free, but the views and opinions expressed in this post are purely mine and based on my own experience with the products inside it. We've been on the 2nd floor but I haven't seen it. I hope you don't mind but what store is beside it?